More than 200 global food movement leaders and organizations representing hundreds of millions of farmers and food workers set out their clear opposition to “gene drives” – a controversial new genetic forcing technology. Their call for a stop to this technology accompanies a new report, Forcing the Farm, that lifts the lid on how gene drives may harm food and farming systems. 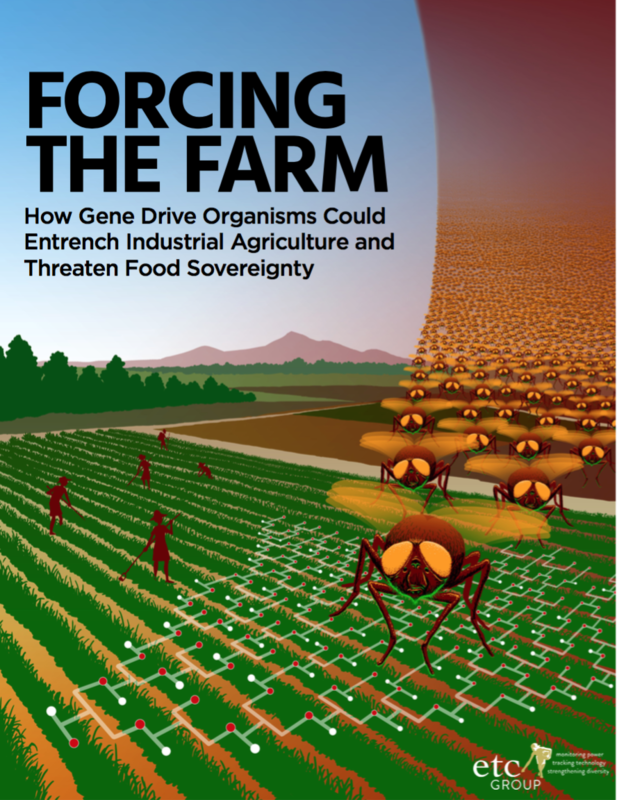 The Forcing the Farm report, researched and produced by ETC Group and The Heinrich Boell Foundation, details several ways in which gene drive technology is being readied for application in agriculture. The report exposes how gene drive developers are deliberately keeping agricultural applications from view while trying to focus public interest on high profile health and conservation projects. Reports of secret meetings with a US defence committee show that agribusiness firms such as Monsanto-Bayer and Cibus Bioscience appear to be engaging with gene drive development. If your organization would like to sign on to the call for a moratorium against gene drives, email genedrives@synbiowatch.org.